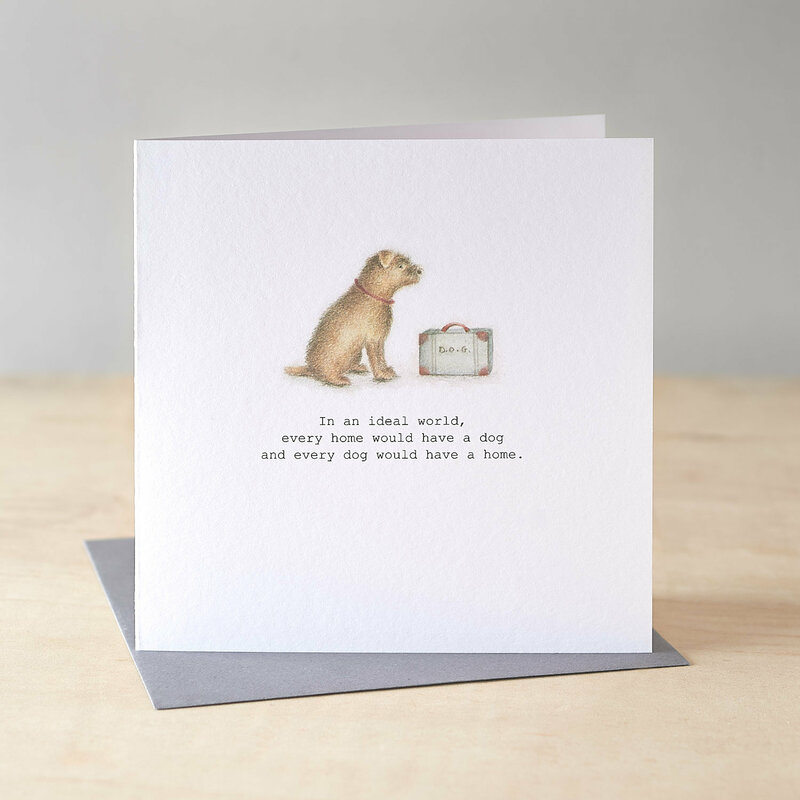 A beautiful greetings card featuring a lovely scruffy dog with his suitcase and the words " In an ideal world every home would have a dog and every dog would have a home. 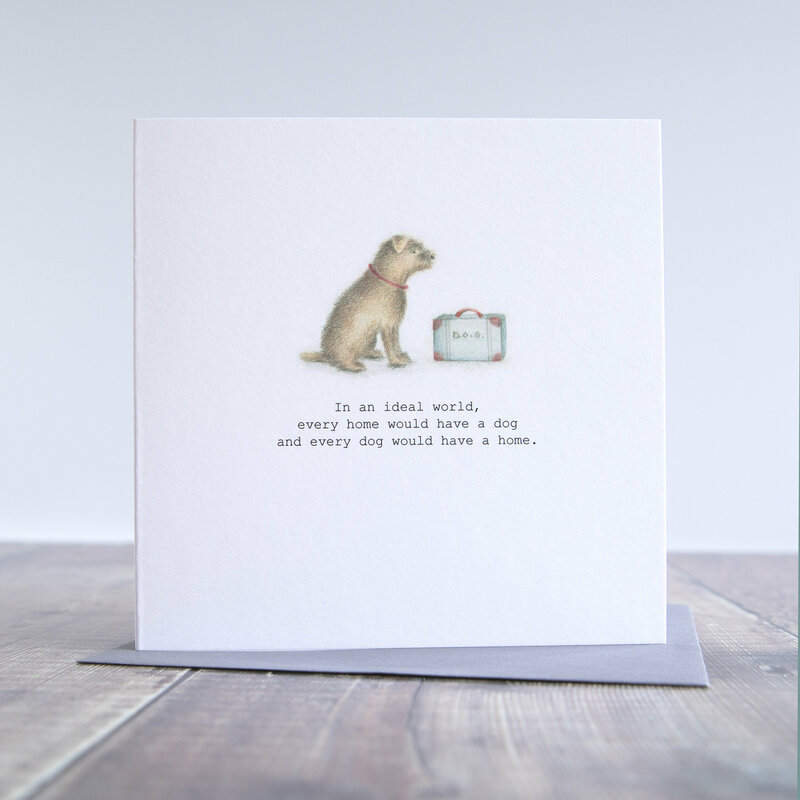 Perfect to send to somebody who has adopted a dog from a rescue home. The design is reproduced from one of my original water colour paintings. Wonderful design, beautiful card. Very cute drawing style. Quick shipping. A+! Returning customer! As I own a ‘square dog’ Welsh Terrier, it is great to find a shop stocking the breed rather than the more common labs/pugs/spaniels. Beautifully wrapped and very quick in the post. Thank you Mumford And Dog!